This smaller-sized party bus is perfect for bachelor or bachelorette parties, birthdays, proms or any special occasion with groups up to 12 people. Mercedes-Benz has long been synonymous with luxury, elegance and style. This Mercedes-Benz party bus is certainly no different. Add multiple flat screen televisions, the latest LED lighting effects and a high-powered Bluetooth-enabled audio system, and the stage is set for an incredible VIP experience. To complete your VIP experience, our courteous, professional chauffeurs provide exceptional white glove service and red carpet treatment. All at an affordable price. 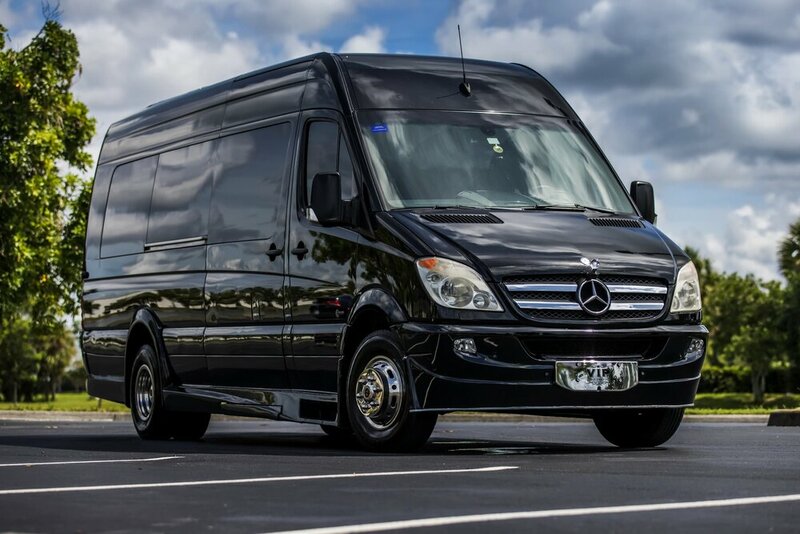 For a truly amazing VIP experience like no other, call us to reserve the Mercedes-Benz party bus today.